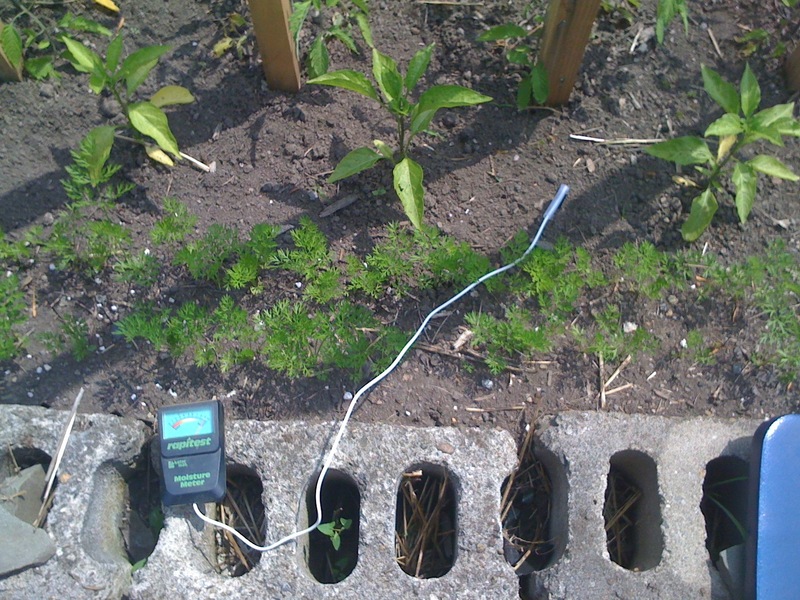 This Week’s Big News: Chamomile | EAT MY PLANTS! 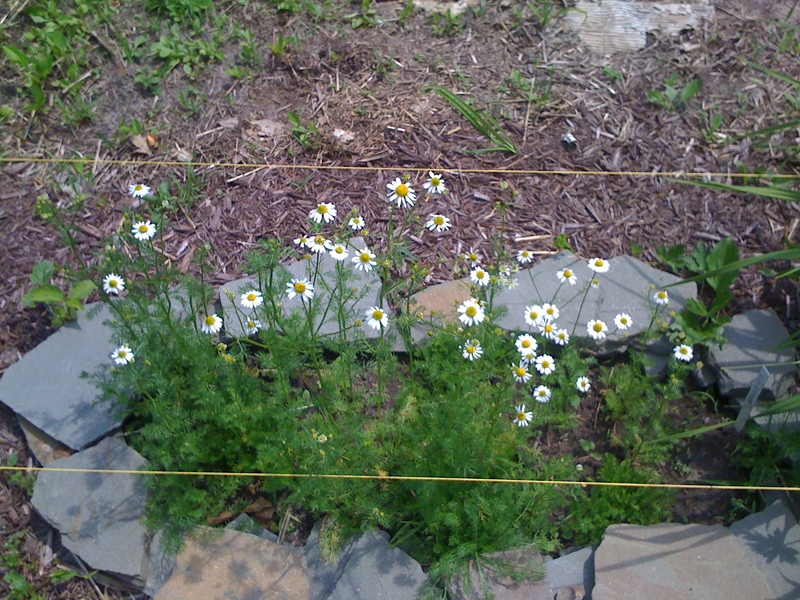 The Chamomile is blooming very nicely. The flowers aren’t much larger than a dime but there are many of them. I harvested these mature ones to dry and make tea. I just used the last of the Chamomile Tea that I bought so I am ready to try the fresh stuff. It’s suggested that you simply lay these out on a cookie sheet and leave them in a warm room in the house. Trouble is, the humidity here is so high that I don’t trust these would dry. My oven only goes as low as 170 degrees which is too warm. These are currently in a brown bag in a Southern window. Once they are dried I’ll grind them up and make some tea. I’m looking forward to tasting how these turned out. I used to own a dehydrator years ago but gave it away since it wasn’t getting much use at the time. Now I wish I had one again for these and my other herbs. 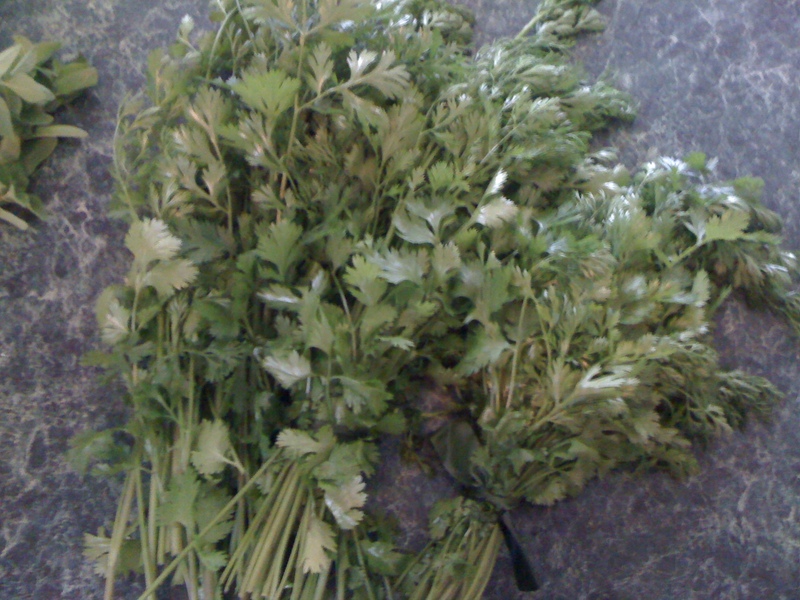 I have plenty of Cilantro coming in. I froze half of this and tried to dry some in the oven but that didn’t go so well. Each season I can Klaussen style pickles as well as spicy, dill pickles. 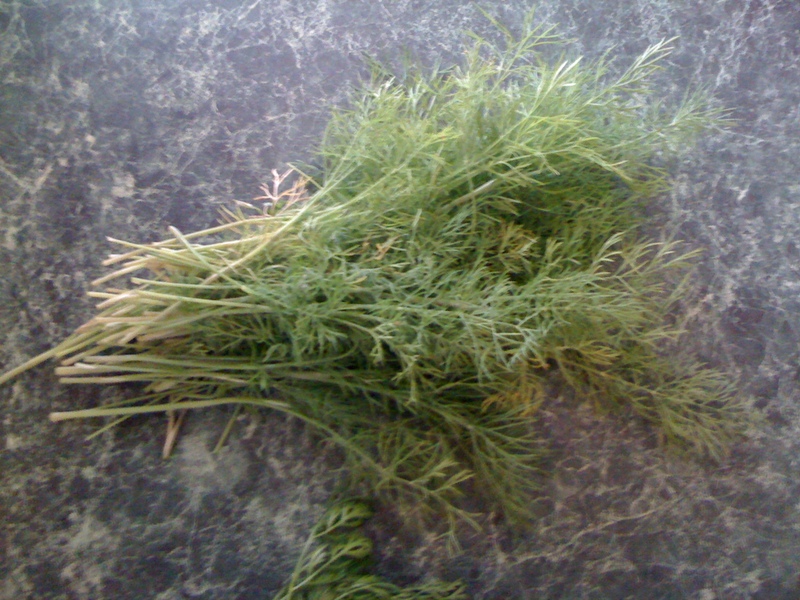 I also make relish and spicy relish so I need lots of dill. I froze this for using later as Cukes get mature. There’s so much Oregano this year. I mean, lots. 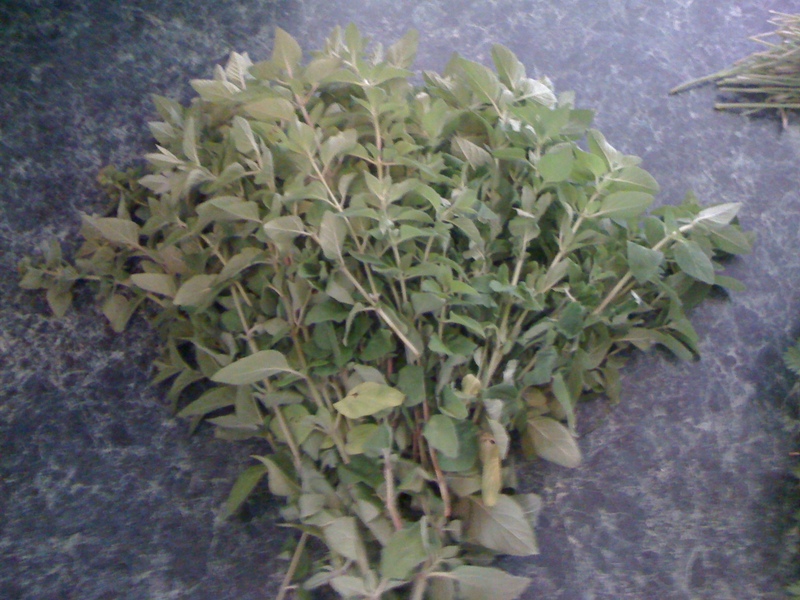 I harvested most of it but haven’t gotten all of it now the Spicy Oregano yet. Later this week I’ll get to it but I hear there’s rain on the way. 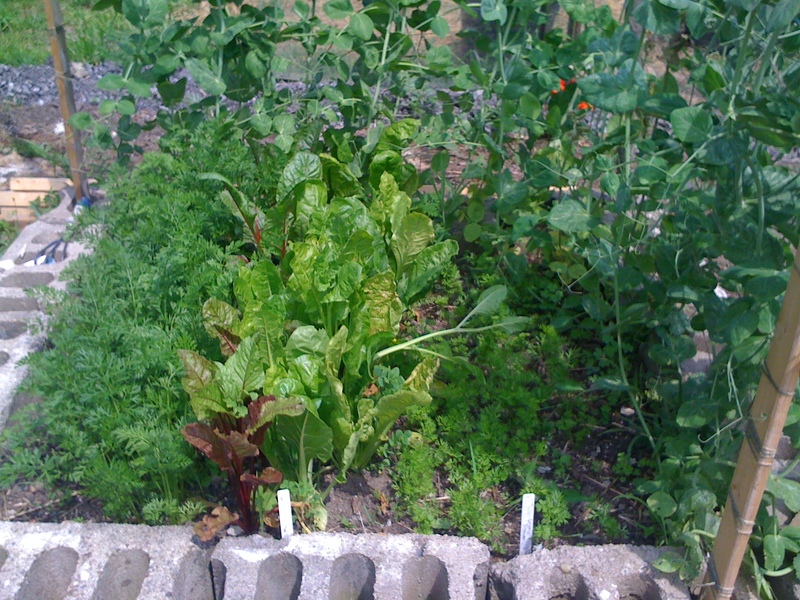 The Swiss Chard was ready and the first round of Carrots aren’t far behind. We’ve been picking the Snow Peas almost daily and either eating them or freezing them. Though we use Kale in our morning juice, we’re going to use the Swiss Chard since it’s ready. Not as much of a “super food” as Kale is, but still a nice addition to the juice. 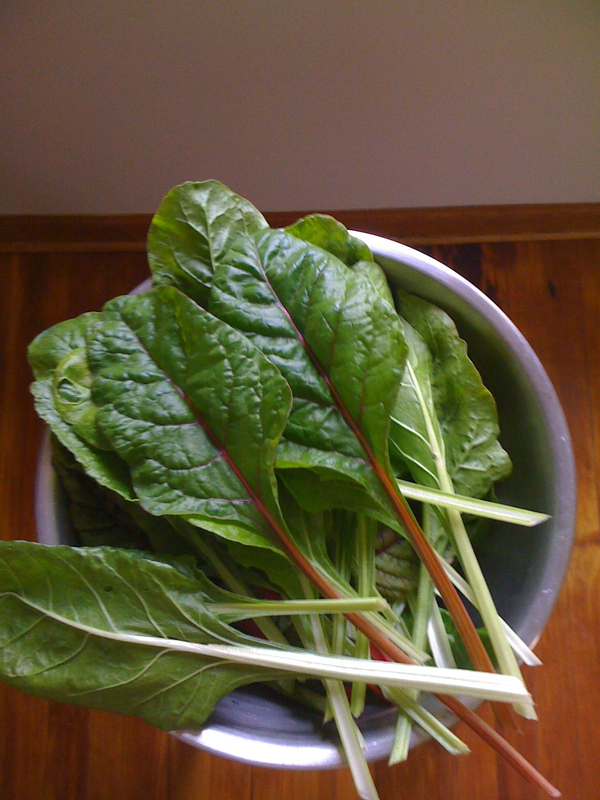 Here’s a big bowl of freshly cut Swiss Chard. Most of it is green but there are some red ones, too. Last year I grew the rainbow variety and while it tastes the same, it’s just more fun to grow. 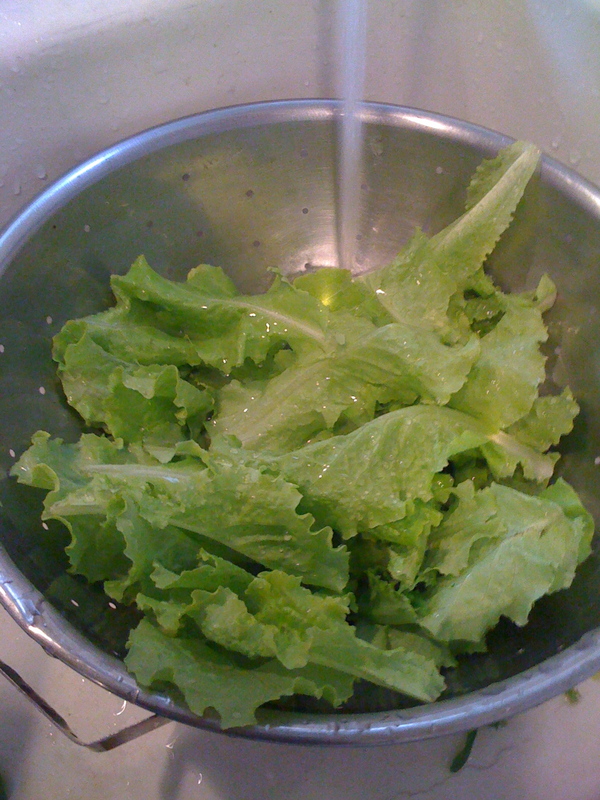 There’s also a very regular supply of Oak Leaf Lettuce which is a little bit more bitter than Bibb or Green Leaf and even Romaine. It’s not my favorite but it’s what I had on hand. 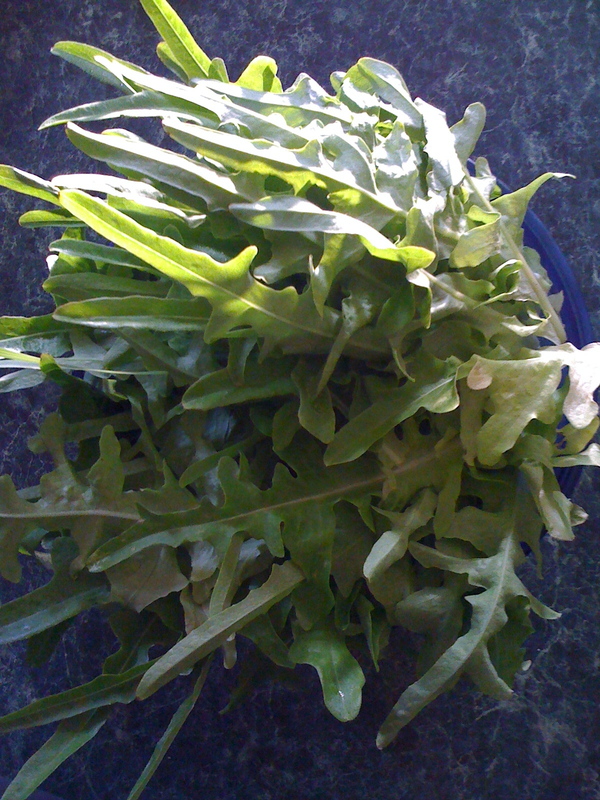 We also have Green Leaf Lettuce that’s ready but not as many plants. It’s probably my favorite variety since it’s not bitter at all. Now that I think of it, I pretty much like any Lettuce if picked really young. The more mature it gets the less I enjoy it. I wish I had grown more of this Green Leaf. 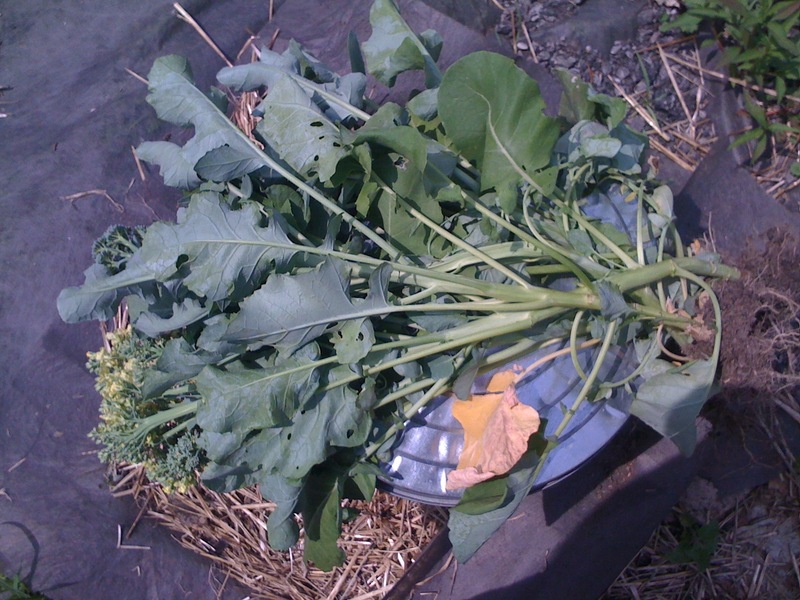 I had to pull the last of the Broccoli plants since they were going to seed like the others. This came as no surprise since it wasn’t off to a good start. I selected a Fall variety, germinated the seed in low temperatures, and after transplanting them to the garden, the weather was fluctuating between 75 and 40 for an entire week. They didn’t care for that. I was optimistic for a short time after I had them in the cold frame for a couple weeks before getting them in the beds. But that’s when the temperatures got crazy, which is typical of this WNY. I’ll get quite a bit of these in for the Fall, however. 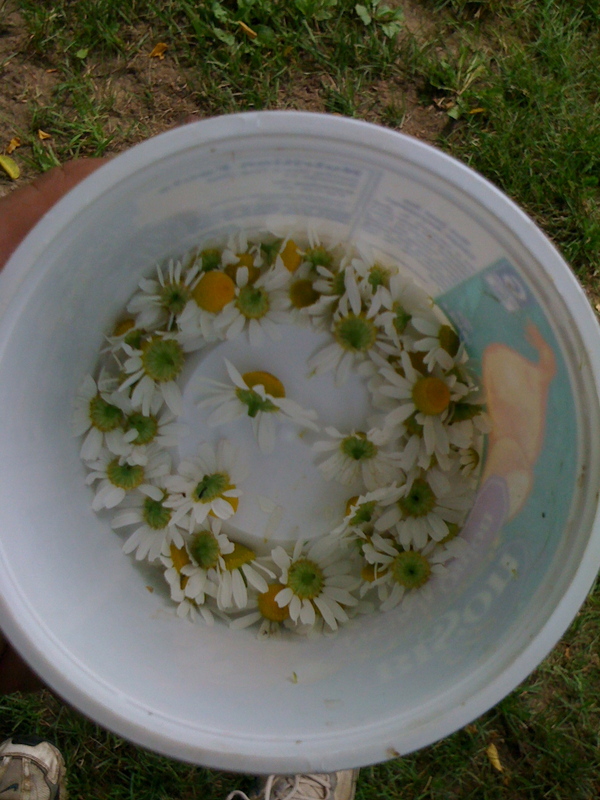 I have several little plots of African Daisy, Shasta Daisy, and Pyrethrum Daisy. I am eager to see them bloom. While working downtown on an audio installation at Delaware Circle I saw African and Shasta Daisy in full bloom. It made me pretty excited about mine. I have plenty of climbers this season. There’s Cardinal Climber, Morning Glory, and Black Eyed Susan Vine. They’re all starting to wrap around their dedicated poles. I am pretty stoked to see if I can get to 15 feet this season. 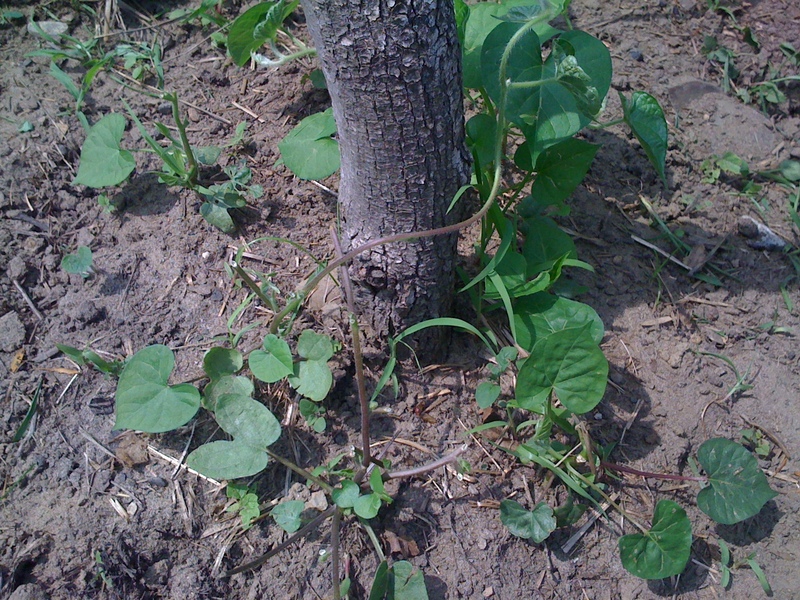 I got over 12 feet last season with the Morning Glory before they ran out of pole. This season I am ready. 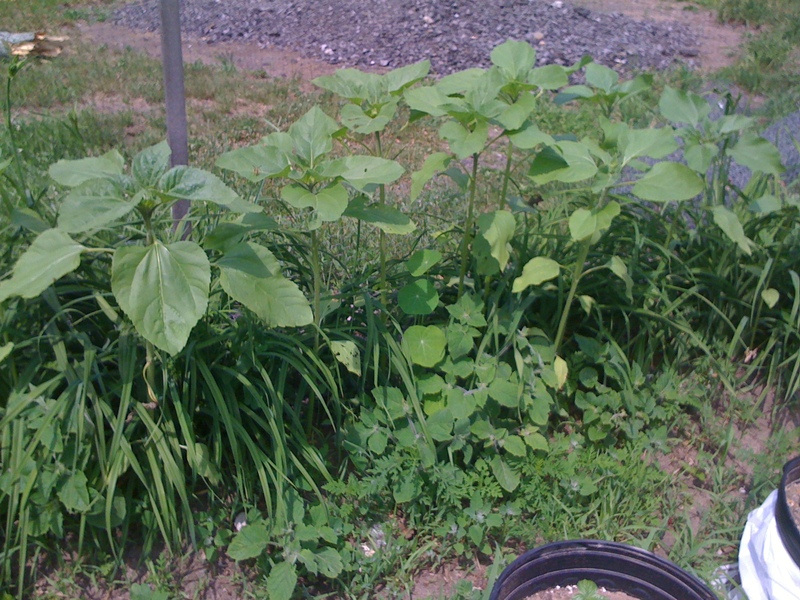 There are lots of Sunflower, the Kong variety, that can grow as tall as 12 feet. These are about 2 feet and really growing. They’re in the company of the Day Lily, Marigold, both Jolly Jester and Giant, and Nasturtium, which has now started to bloom. All around the property there’s at least 150 of these. 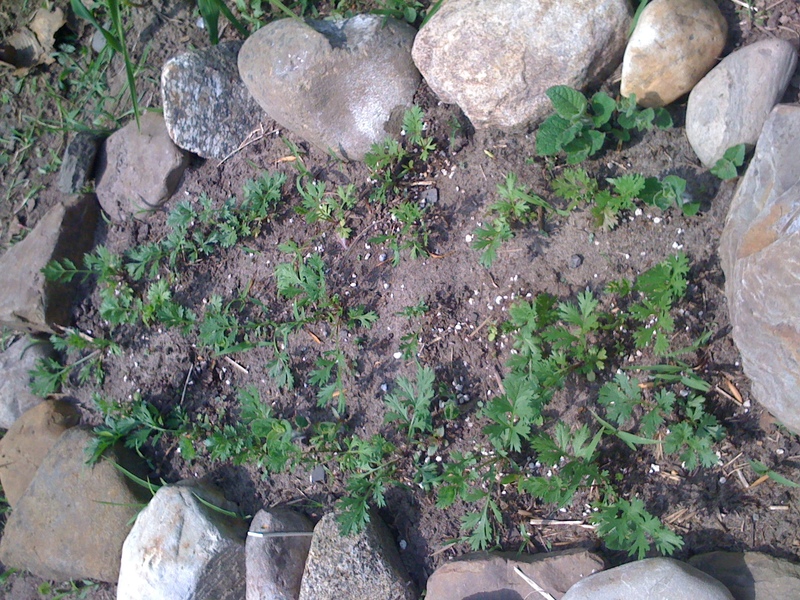 Some of them have been nibbled by deer and rabbits but I have been planting more seeds every week. I expect to see plenty of these in the Fall. We had quite a bit of rain the past week. It’s hard to tell if the beds are moist or not simply by hand. When I checked the beds they feel dry and sticking my finger in the soil didn’t reveal too much. If I was going to take a guess, I would have thought I should water the beds. 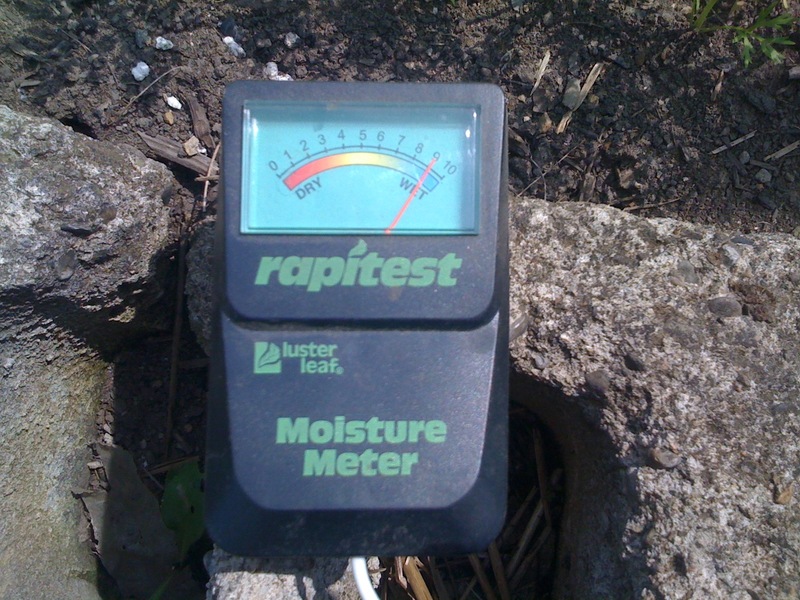 So I went in and grabbed the moisture tester that Jman bought. Clearly, the beds are moist. I checked some pots that I knew were dried and the gauge agreed. I went to each bed and each one was no less than 8 on the meter. The next order of business is to do a soil test. A Tomato plant that I threw along my patio is doing better than the ones in the beds. It gets the same sun and the soil is mostly clay. I really thought, and still believe, my beds are nutrient rich but that Tomato has me second guessing. I’ve been putting in a lot of hours at the local production company since it’s concert season in WNY. It’s taken some time away from me both in the studio and in the garden. So needless to say, I’ve not yet done the first video post. This week is no different. I am home only one day this week and won’t get a video post out but rumor is next week is a little slower. If I get an extra day, I’ll get down to business.